This week we covered the Network Layer, including IP datagram format, IP Addressing, ICMP and Traceroute and DHCP. An Internet Protocol address (IP address) is a numerical label assigned to each node participating in a computer network that uses the Internet Protocol for communication. An IP address serves two principal functions: host or network interface identification and location addressing. In the IPv4 scheme addresses are 32 bits. 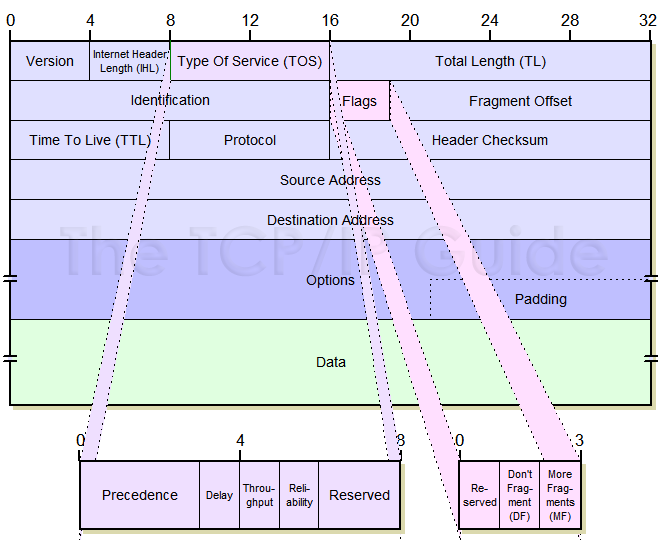 Traceroute, by default, sends a sequence of User Datagram Protocol (UDP) packets addressed to a destination host; ICMP Echo Request or TCP SYN packets can also be used. The time-to-live (TTL) value, also known as hop limit, is used in determining the intermediate routers being traversed towards the destination.